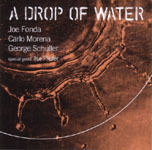 Fonda's abundant soloing on this record obeys a much more obvious melodic order than most of his material. His bass playing in general integrates itself fluidly and unobtrusively into Morena's relatively linear harmonic approach. Carlo Morena, a loose traditionalist, takes conventional forms and personalizes them with a relaxed, singing tone. Morena's three lyrical compositions tend toward a bittersweet, ambivalent sound. 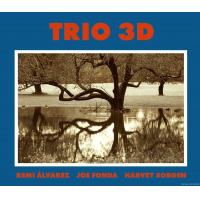 Helped along by Hirshfield, the trio stays rhythmically grounded throughout the full hour of improvisation. Occasionally a funky groove pops its head up on What We're Hearing (eg. the drum solo toward the end of the second track), but in general Hirshfield performs what Miles Davis would term "protecting the beat": delivering unrelenting swing on the upbeat material, coupled with understated brushwork on slower pieces. An apt stylistic comparison might be Paul Motian. What We're Hearing is easily the most straight-ahead recording in Joe Fonda's oeuvre. This delicate performance offers meticulous attention to detail and a potently melodic feel. After hearing this disc, no one could doubt Fonda's ability to work within the traditionlending credence to his frequent trips "out" in other projects. 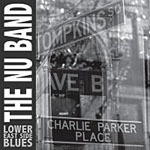 Track Listing: My Blues; Mars Bars; When It's Time; Begin; Love You, Too; Persuasions:; You Stepped Out Of A Dream. 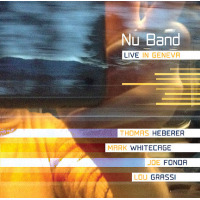 Personnel: Joe Fonda: bass; Carlo Morena: piano; Jeff Hirshfield: drums.